Mojo Monday ~ What We Can Learn from Anger – We Are All Meant to Shine! This particular article first appeared in my blog back in December of 2008. I chose to share it again as I have been struggling with increased feelings of frustration and anger in recent months. I decided to revisit this topic in an effort to contemplate and evaluate my own feelings. I thought it might be of value to you too. Anger is an emotion that is often viewed as negative and in some religious circles as sinful even. Yet anger is a human emotion, just like fear, happiness and sadness. Should anger be suppressed or ignored? What do we do with this emotion? Let us consider a few individuals who are recognized for their contributions to peace. The idea of a person being both peaceful and angry may seem contradictory and incompatible. Yet I believe it is helpful and even encouraging for anyone who struggles with being angry to recognize that even some of the most peaceful people to walk this earth have experienced anger and expressed it. Ikeda is President of Soka Gakkai International (SGI), a Buddhist association which claims 12 million members in more than 190 countries and territories, and founder of several educational, cultural and research institutions. 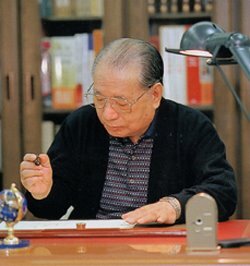 Ikeda is a peace activist, prolific writer, poet, educator, interpreter of Nichiren Buddhism and environmentalist. He has travelled to more than 60 countries to hold discussions with many political, cultural, and educational figures, as well as to teach. In his book For the Sake of Peace Ikedawrites in the preface “I am against war! I am absolutely opposed to it!” He continues on later with “I am determined to fight against anyone who supports or advocates war. I will fight the dark, demonic forces of destruction. Another book by Ikeda called Fighting for Peace is a collection of his meditations on war and peace. In a description from his own web site the book is described as expressing, from personal experience, his deep loathing of war and his anger at those in positions of authority who would sacrifice ordinary people in pursuit of selfish ends. In learning to better embrace and accept myself, I have needed to recognize and accept my anger and even my rage. This has been a huge part of growing and becoming more authentic and real. I grew up repressing any anger I felt. Scary feelings like anger were stuffed away and suppressed. My fears of “rocking the boat” and of not being liked felt very overpowering. There is no doubt that I had the people-pleasing disease. 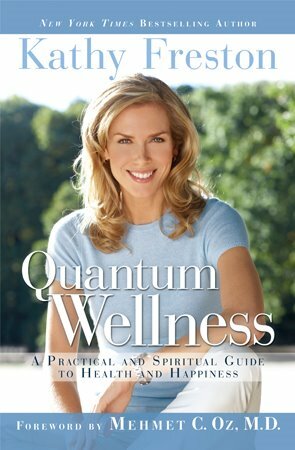 The book Quantum Wellness: A Practical and Spiritual Guide to Health and Wellness by Kathy Freston addresses anger and I had one of those “Aha moments” upon reading this section this summer. 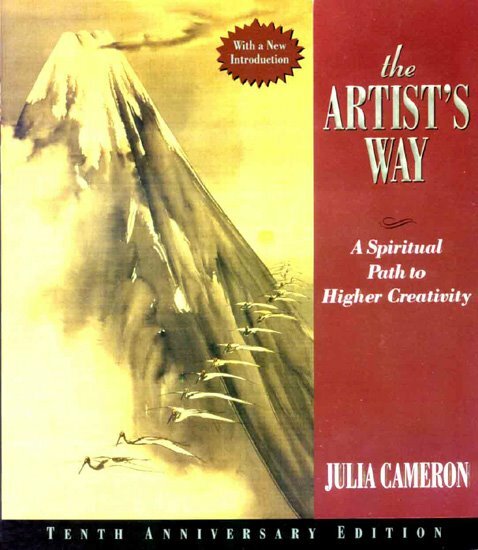 Ironically I also came across a wonderful section on anger in The Artist’s Way: A Spiritual Path to Creativity by Julia Cameron. I say “ironically” because here is a book about creativity. Yet really this book is about so much more. “Anger is fuel. We feel it and we want to do something. Hit someone, break something, throw a fit, smash a fist into the wall, tell those bastards. But we are nice people, and what we do with our anger is stuff it, deny it, bury it, block it, hide it, lie about it, medicate it, muffle it, ignore it. We do everything but listen to it. When we feel anger, we are often very angry that we feel anger. Damn anger!! It tells us we can’t get away with our old life any longer. It tells us that old life is dying. It tells us we are being reborn, and birthing hurts. The hurt makes us angry. What I have certainly learned from my explorations of facing my own anger and rage is how self destructive this emotion can be if it is suppressed, stuffed and pointed inwards. I am not one to lash out. I have always been one to internalize such feelings. The “goodist” in me was always so afraid of conflict and confrontation. The difficult lesson has been in learning how to constructively communicate my anger in a healthy way. If something upsets me or makes me angry I am learning to make better choices in expressing it. Usually for me it is as simple as speaking up. For example I have learned that telling my husband that I am upset that he didn’t help out in the morning is a much healthier approach, than is harboring my anger which doesn’t resolve anything. It is only by speaking up respectively and sharing my thoughts and feelings that he understands what I am thinking and how I am feeling. Only then can he respond and perhaps do something differently. Next review the list and consider why these things make you angry. Sometimes what we think is making us angry, really isn’t the real culprit. Let’s consider rude drivers and toilet seats left up. The key here might be that you are angry that people are not considerate of others. Ask yourself if you are wanting and needing more consideration in your life from your family, your friends and perhaps most of all from yourself. The slow computer might really be more of a reflection of your frustration with not having enough time, or rather feeling like you don’t have enough time. Perhaps you need more “you” time. More time to just be and relax. How can you schedule back and make that happen? If the anger kicks in due to kids whining and arguing, the television being on too loud, and being interrupted by a spouse and children, this could also be a sign that you are in need of more silence in your life and again more private time. Suggested Reading ~ The Dance of Anger: A Woman’s Guide to Changing the Patterns of Intimate Relationships by Harriet Lerner, Ph.D.
“Anger is a signal, and one worth listening to. Our anger may be a message that we are being hurt, that our rights are being violated, that our needs or wants are not being adequately met, or simply that something is not right. our anger may tell us that we are not addressing an important emotional issue in our lives, or that too much of our self–our beliefs, values, desires, or ambitions–is being compromised in a relationship. Our anger may be a signal that we are doing more and giving more than we can comfortable to or give. Or our anger may warn us that others are doing too much for us, at the expense of our own competence and growth. Just as physical pain tells us to take our hand off the hot stove, the pain of anger preserves the very integrity of our self. our anger can motivate us to say “no” to the ways in which we are defined by others and “yet” to the dictates of our inner self. Women, however, have long been discouraged from the awareness and forthright expression of anger. Sugar and spice are the ingredients from which we are made. We are the nurturers, the soothers, the peacemakers and the steadiers of rocked boats. It is our job to please, protect and placate the world. We may hold relationships in place as if our lives depended on it. The taboos against our feeling and expressing anger are so powerful that even knowing when we are angry is not a simple matter. When a woman shows her anger, she is likely to be dismissed as irrational or worse. Why are angry women so threatening to others? If we are guilty, depressed, or self-doubting, we stay in place. We do not take action except against our own selves and we are unlikely to be agents of personal and social change. In contrast, angry women may change and challenge the lives of us all, as witnessed by the past decade of feminism. And change is anxiety-arousing and difficult business for everyone, includingthose of us who are actively pushing for it. Thus, we too learn to fear our own anger, not only because it brings about the disapproval of others, but also because it signals the necessity for change. We may begin to ask ourselves questions that serve to block or invalidate our own experience of anger: ‘Is my anger legitimate?’ ‘Do I have a right to be angry?’ ‘What good will it do?’ These questions can be excellent ways of silencing ourselves and shutting off our anger.